100% OFFLINE: beautiful 3D city map, public transport route planner, address and places finder! 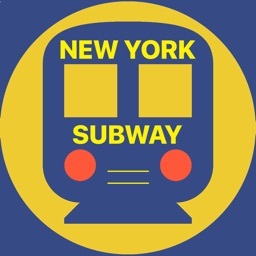 • A comprehensive transport offline route planner for all modes of public transport within New York City. • The offline map that is low on storage and high on data. • 3D maps for a realistic experience. • Use the New York City Offline Map Route planner to plan your journey by bus, subway, ferries or railway to get from one place to another within New York, quickly and cheaply. 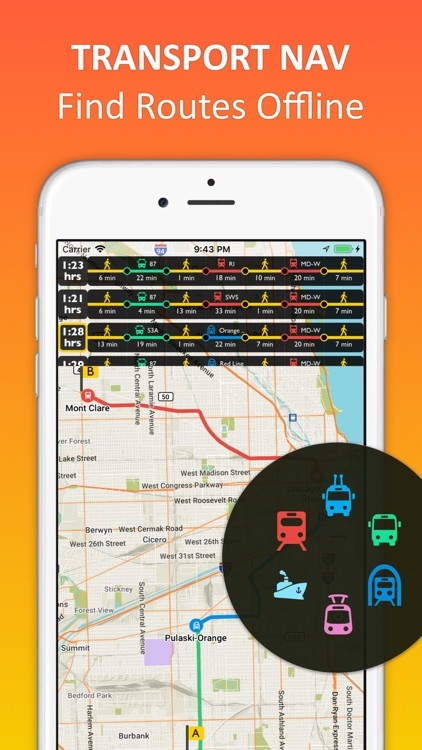 • Detailed functions of its efficient route planner will inform you which transport to take, from where to take it, where to get off and at what time. • Know your journey time as the route planner displays the duration of the journey and the time spent on each mode of transport you use enroute. 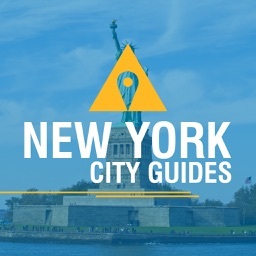 • A city guide that contains information about all the attractions, eateries, parks, monuments, theaters, and other places of interest for quick reference. • Allows you to search for a location by name or address. 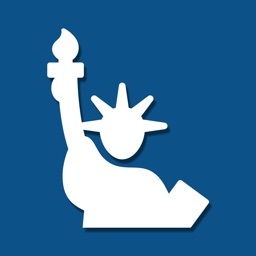 • Provides up to date information about New York City. Big cities can be confusing and intimidating for those visiting or living in it. 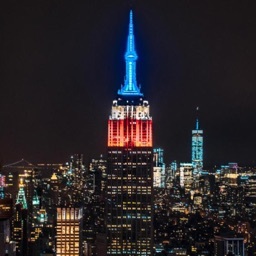 New York is the biggest of the big cities and despite living here, it is highly likely you still do not know your way around all of New York. Worry no more! New York City Offline Map is here to take care of your navigation problems. It will help you to find your way from one location to another, quickly, easily, and accurately. 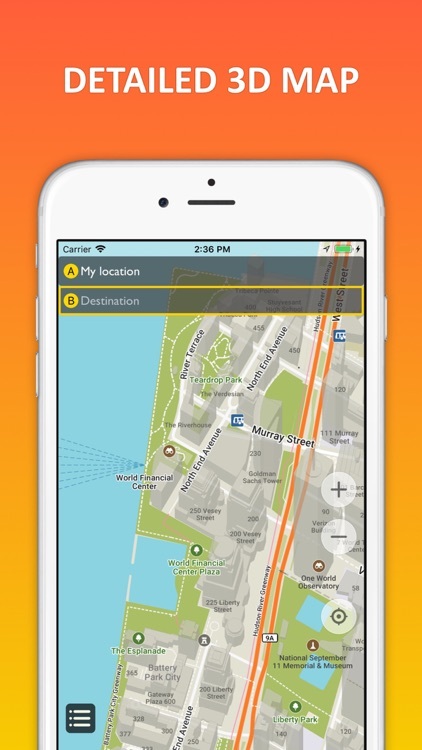 It provides you with an offline map of the city of New York that you can download and store on your device and use as you may wish without bothering to look for a network or worrying about connectivity. 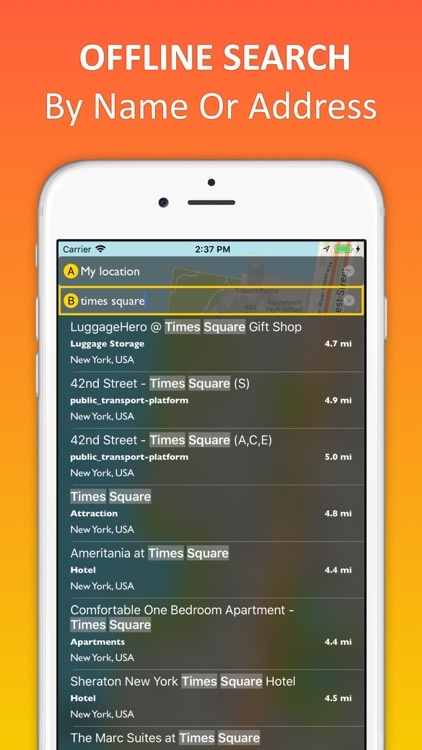 Use New York City Offline Map to find your way in the Big Apple. Get rid of the outdated navigation apps that take ages to load and require an Internet connection every time you need help to navigate. 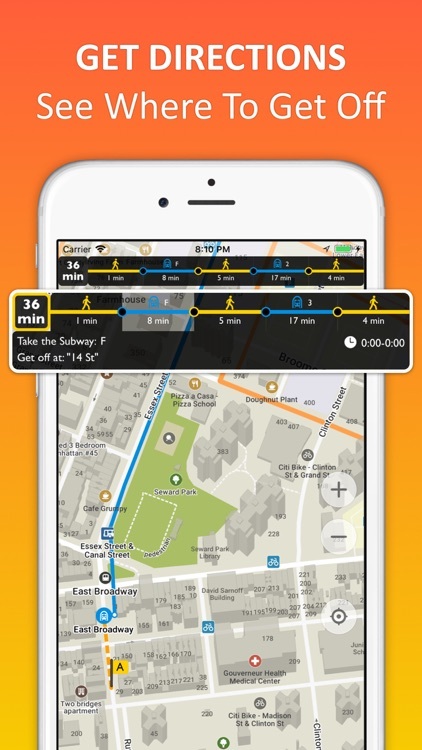 Download the New York City Offline Map with Public Transport Planner once and use it forever. 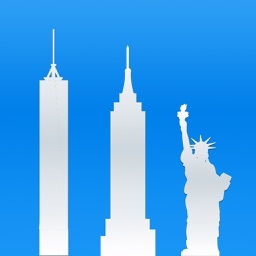 Its regular updates ensure that you have the latest data about New York available on your device at all times. Experience New York in 3D, watch the city come alive on your screen like never before. Optimize your navigation routes as New York city offline map allows you to explore the city’s various transport options and provides you with the best route, from one point to the other. You have all you need in the palm of your hand. Wish to find a restaurant or a museum or that little café you have recently heard about? Just turn on New York City Offline Map’s excellent city guide and it will take you there without any fuss. Its huge database of businesses, attractions, parks, monuments, and other interesting destinations, allows hassle free guiding service to you. New York City Offline Map guide updates will keep you informed about the hottest places in New York so you never miss out on the best places to eat, drink or relax. 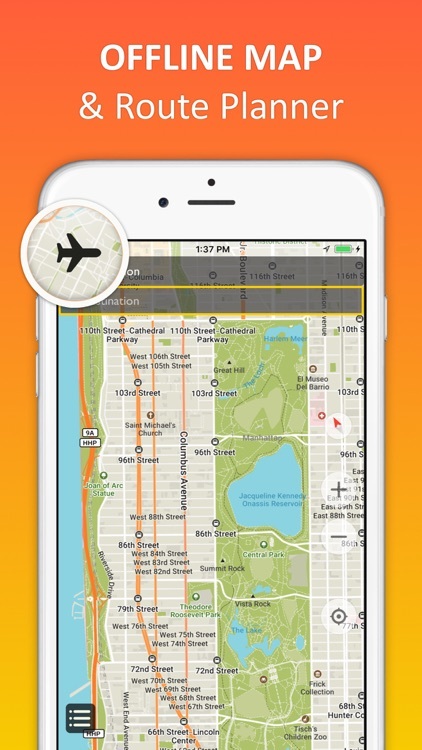 Download "New York City Offline Map" and never get lost in the city of New York again!